Tiretherm a portmanteau, which consists of the terms is TIRE (American tire) composed for and THERM temperature. 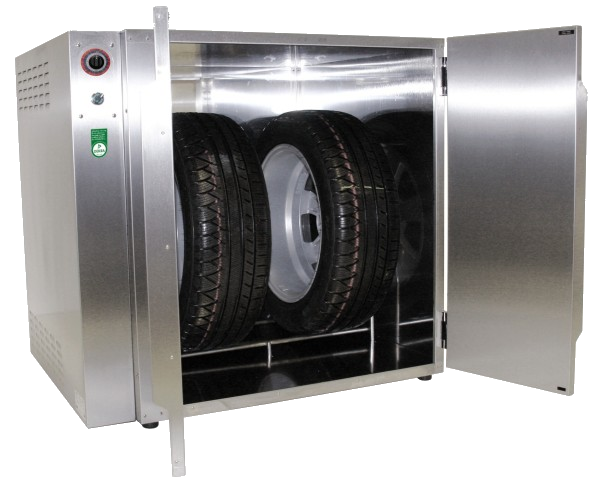 Tiretherm is a tire warmer that before assembly warmed the tires on the car, so that the material becomes softer to facilitate the installation. The Ultra High Performance (UHP) tires and wheels with runflat tires (Run Flat) are accepted by the market, and have according to BRV now account for 25% of the tire replacement business! If a tire is heated before mounting only from 21 ° C to 25 ° C decrease the necessary mounting forces depending on the make up to 50%! This protects your machines and of course the tires of your customers. We reserve the right to make technical modification.